I’m not entirely sure as to where my Monday’s go, and so it seems most of my Living Arrows posts get published on a Tuesday! 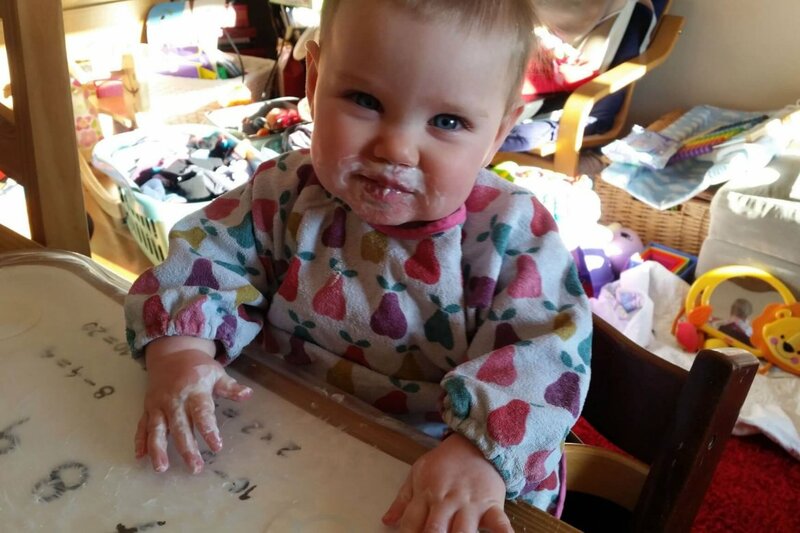 This little Isla Bear is totally obsessed with yoghurt at the moment. If she refuses to eat any of her lunch or dinner, then all I have to do is open up her yoghurt, that is meant to be for pudding, and dip her food in it. At the moment she is fooled enough to think that it is just yoghurt as it is going in her mouth. 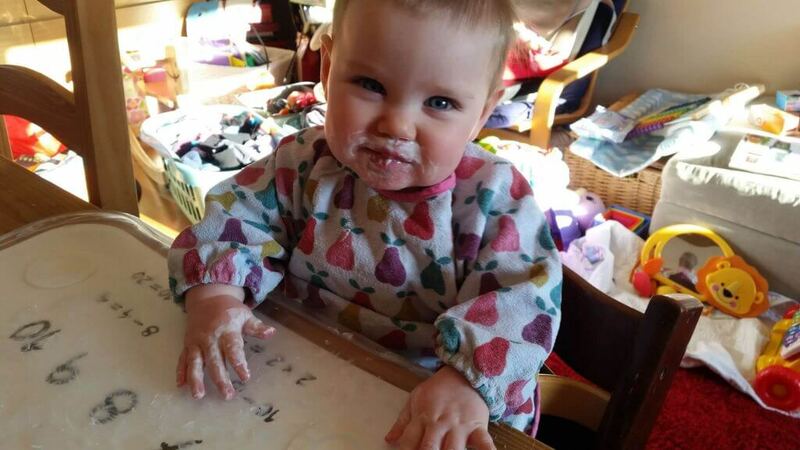 She will pull a funny face as if to say “Mummy, this isn’t really just yoghurt is it?” but then will forget about that, and eat the next spoonful I’ve just done the same with! I think yoghurt has definitely taken over broccoli, and chilli con carne as her favourite food. Although I do think that Ella’s Kitchen Melty Hoops are in joint first place. But as High Wycombe appears to be in the middle of The Great Melty Hoop shortage of 2017, yoghurt wins at the moment. I love this photo of Isla though. She is finally smiling for the camera every now and again, and this is once time I have managed to capture it, albeit covered in yoghurt! Just like her hands, as she loves to put her fingers in her mouth when eating. Don’t ask me why! But it makes meal times extra messy!! As always, I love her eyes in this picture. You can still see the gorgeous blue of them. And a tiny hint of mischief as well! I would also like to say, as the saying goes….Please excuse the mess, we are making memories…..or at least that’s my excuse, and I’m sticking to it!!! 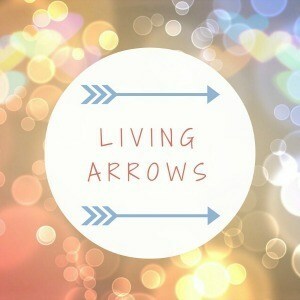 I’m looking forward to linking up again next week with Living Arrows! We love it…unless she sneezes it everywhere, then we like it slightly less!